HomeEducationSustainability EducationCongratulations to these sustainability superheroes! Congratulations to these sustainability superheroes! 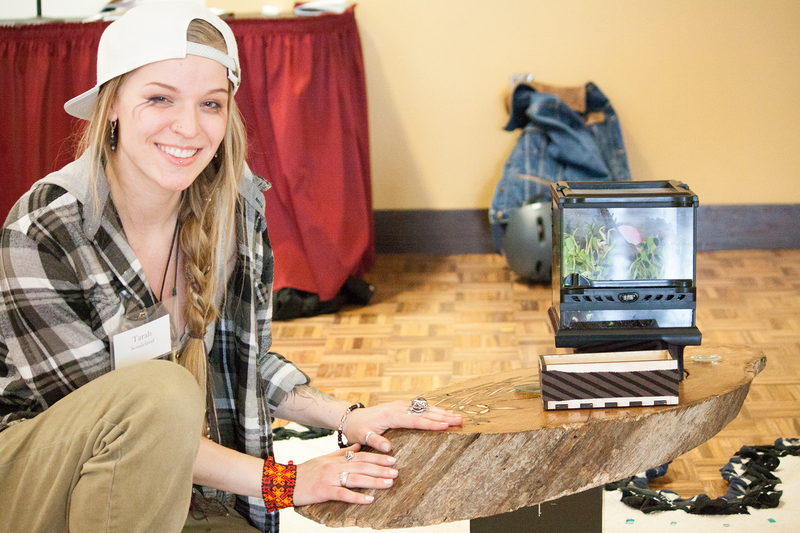 On Friday, April 7th, one of the first real beautiful spring days in Minneapolis, over 200 University of Minnesota community members gathered for the 7th annual Sustainability and Energy Expo. The Expo brought together students from all the University campuses as well almost every college here at the Twin Cities campus. Organized with the goal of showcasing the important work that UMN students are doing to create a more sustainable future, the Expo was an opportunity for students to develop their communication skills by sharing their research, action, and creative work with a broad audience. 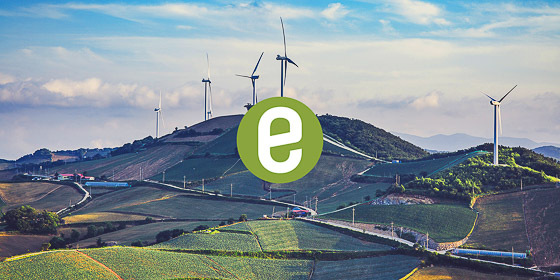 With professors, researchers, other students and area professionals in attendance, the Expo also provided an excellent venue for students to connect with others in the fields of sustainability and energy and grow their personal and professional networks. In previous years the Expo was called the Sustainability Symposium and was organized single-handedly by the Sustainability Education here at the Institute on the Environment. 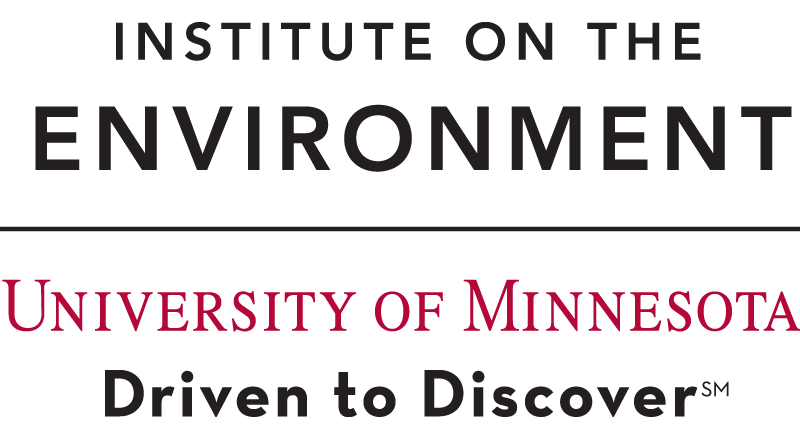 This year, however, we were joined by the UMN Energy Club, and together the Sustainability and Energy Expo was created. We certainly think it was a pretty successful collaboration! The spirit of community, connection-building and diverse perspectives at the Expo was due in great part to widening the circle of organizers to include this energetic and highly capable student-led group. With 70 student presentations, it was hard to choose winners! After a full day of engaging lightning talks, detailed posters and innovative creative works, a winner from each category were chosen. Each of these students worked hard to produce a project that reflected their commitment to sustainability and the depth of skill and knowledge they’ve gained in their studies at the University. Christina is an undergraduate in English Literature at the Twin Cities campus, minoring in Sustainability Cities and Product Design. 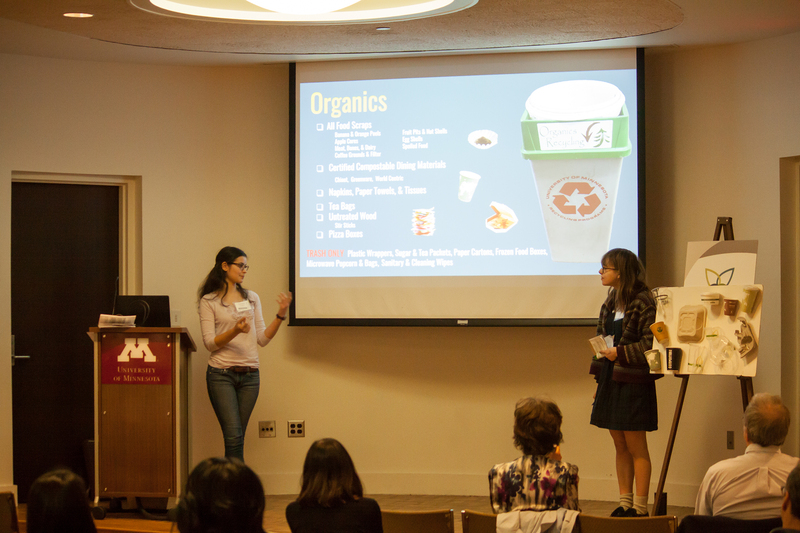 Christina gave a lightning talk on efforts being undertaken by the UMN Recycling department to implement organics recycling on the Twin Cities Campus. You can read her abstract below. Congratulations Christina! Steve is an undergraduate student in the College of Science and Engineering at UMN Twin Cities. 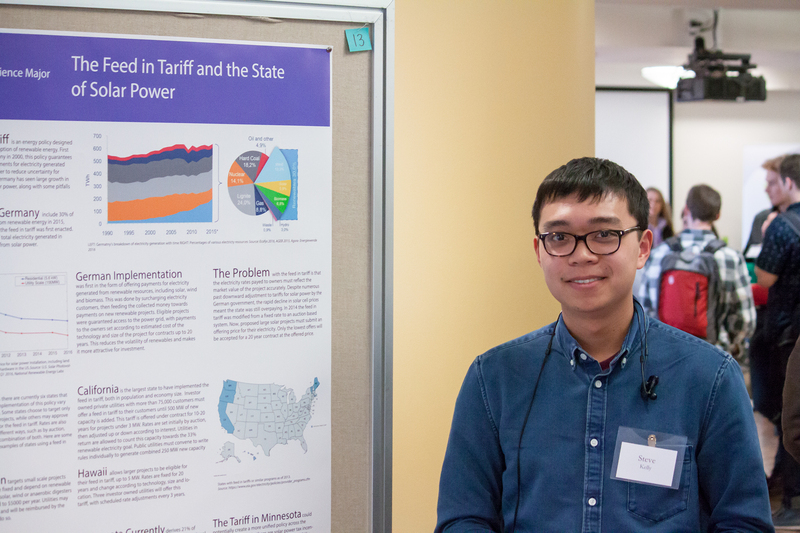 His poster explored the possibility of implementing a feed-in tariff in Minnesota to expand adoption of solar energy, similar to legislation in Germany that has helped to drive their transition to solar energy. Tarah, an undergrad pursuing a Bachelor of Individualized Studies through the College of Liberal Arts, explored how cultural aspects of sharing knowledge are overlooked in environmental management. Her living creative project introduced a multidisciplinary perspective to the Expo that was appreciated by everyone who saw it. Thank you Tarah! With so many amazing presentations, we couldn’t give out just three prizes. In addition to the category winners, the following presentations were recognized for the unique strengths they brought to the expo. 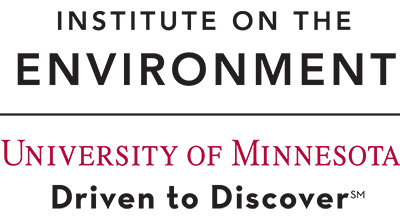 Plan a sustainable schedule with these Fall 2017 courses!